THE PICKIEST EATER IN THE WORLD: CRYSTAL JADE DINING IN: CHEF'S RECOMMENDATIONS AND THANKSGIVING! CRYSTAL JADE DINING IN: CHEF'S RECOMMENDATIONS AND THANKSGIVING! 2014 was a very blessed year for me and my family, so I make it a point to give thanks every chance I get. One of the restaurants that I enjoyed immensely last year was Crystal Jade. Not only is the food excellent, but Rina and I were blessed to meet some of the key people behind its success, such as Kenneth and Gela, who turned out to be genuinely nice people whom I now consider them as friends. As a way of giving thanks to its friends in the bloggersphere, Crystal Jade held a lunch at Crystal Jade Dining In at The Fort, which also featured some of the latest additions to their already awesome menu! Our meal began with a special announcement from Kenneth. The Filipino public spoke and Crystal Jade listened! 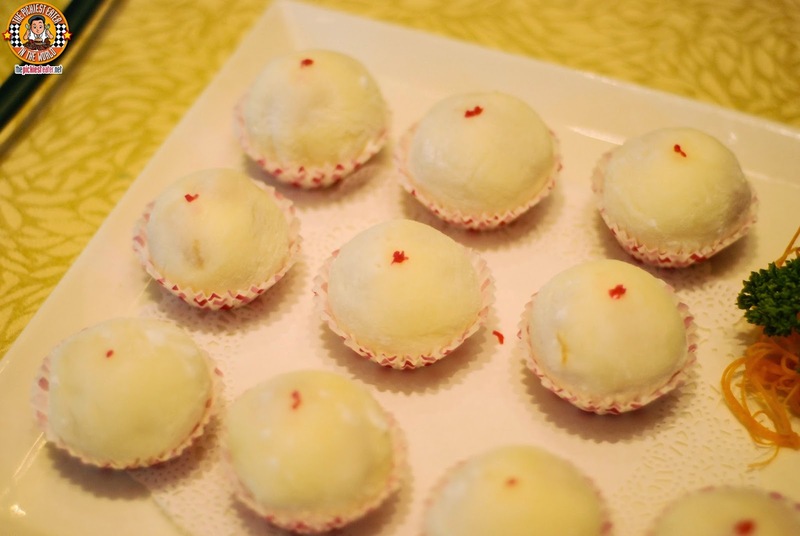 The most popuar item on Crystal Jade Shanghai Delight's menu, the Xia Long Bao, is now available at Dining In! 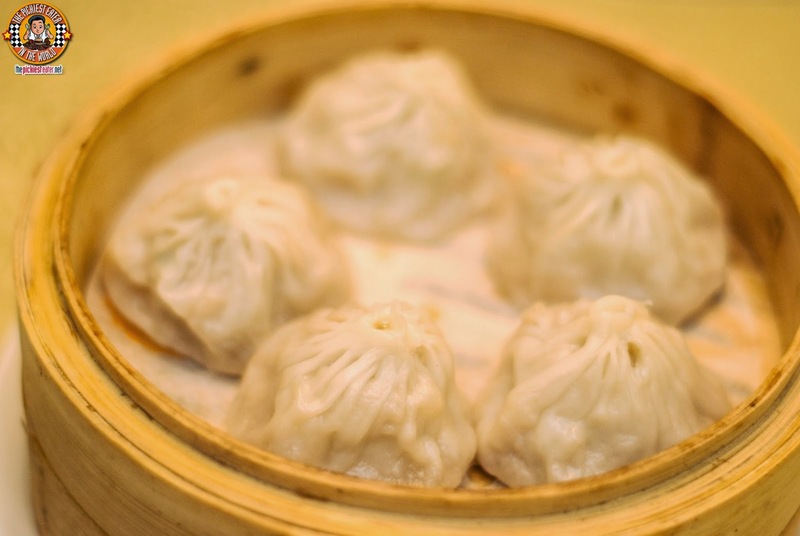 Since the Xia Long Bao is associated with Shanghai Cuisine, it was exclusively available at the Shanghai Delight's branch, with the Dining In Concept featuring Cantonese cuisine. 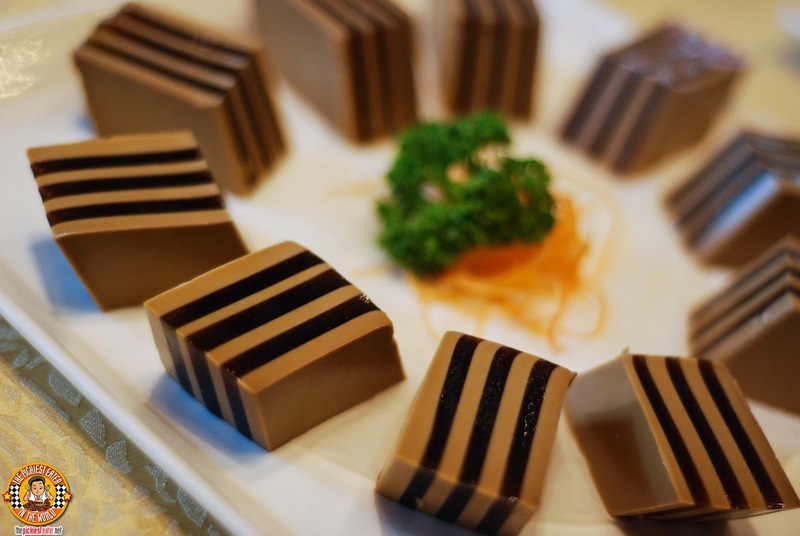 However, the clamor for both branches to have the popular dimsum favorite was too strong to be ignored, so Crystal Jade's head office in Singapore decided to give the Pinoys what they want! 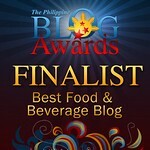 If you're Xia Long Bao lovers like me and Rina, then you know this is definitely great news! My 2014 began with a "Prosperity Toss", so it's only fitting that we begin this new year with that timeless ritual! 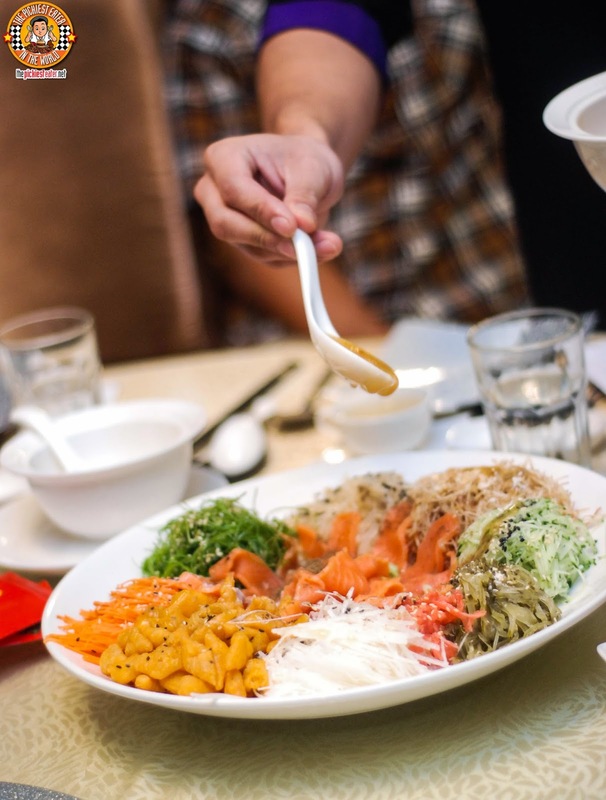 For Crystal Jade's "Yu Sheng", they us a menagerie of Fruits, Vegetables, Flour Crisps and Raw Fish, together a combination of oils and sauces, to symbolize and attract various facets of of Prosperity. 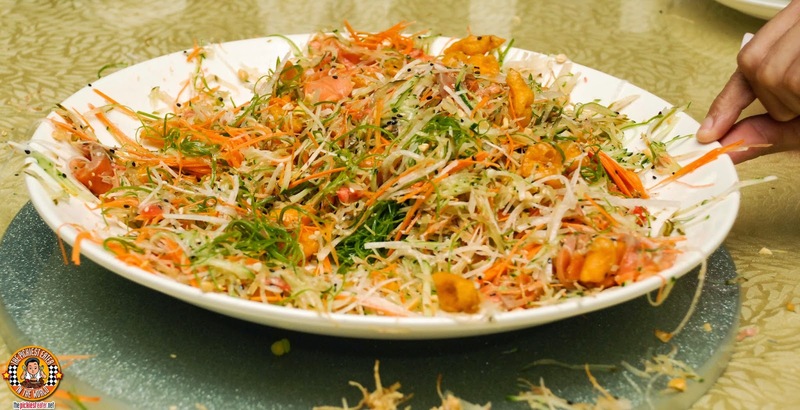 Once the Yu Sheng is prepared, the diners then use their chopsticks to toss it, while saying, "Lo Hei!" which means "To Rise". The result was a beautiful mess on our table (and a little on my shirt. Ironically, I got more food on my shirt when I tried eating it than I did when I tossed it). Check out the tossing action here! 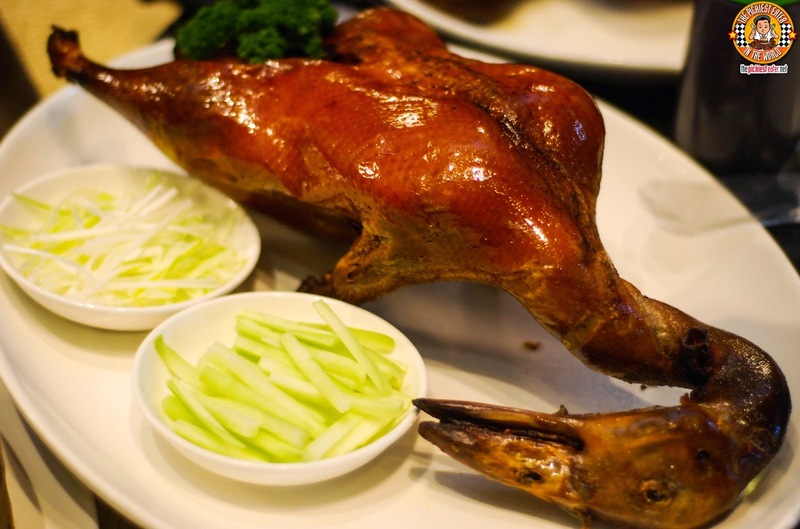 A trip to Crystal Jade Dining In is not complete without their renowned Peking Duck, which is among the best I've tried in the country. 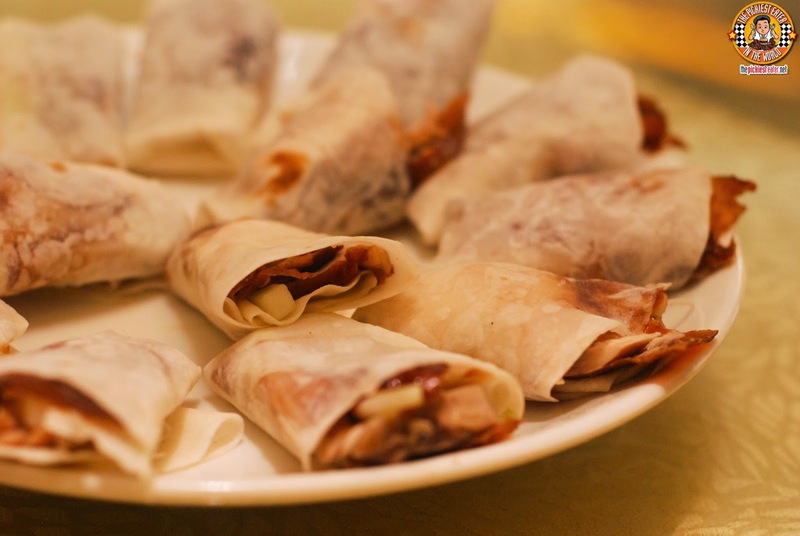 For the "First Way" that the Peking Duck is cooked, it is presented to the table and sliced right in front of you, then wrapped in a soft wanton wrapper, dabbed with a bit of Hoisin sauce, Spring Onion and Cucumber. I normally ask them to remove the cucumber but this time I wanted my wrap so badly I didn't care. Next, we moved on to the soup, which was The Double Boiled Fish with White Fungus and Papaya. I gotta tell ya, I'm glad I tried the soup first before finding out the name, because knowing me, hearing "White Fungus" in my dish would probably have turned me off. Much to my delight, the soup was actually quite delicious. 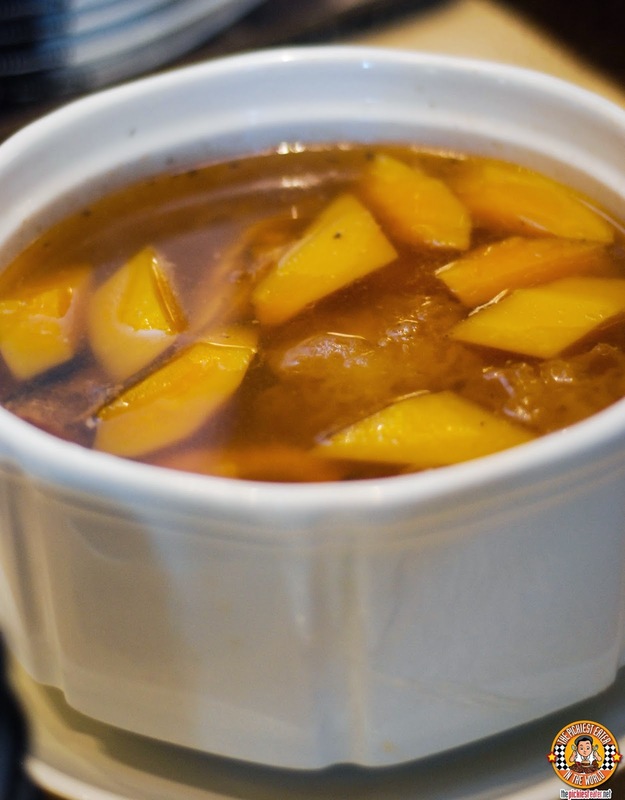 The flavors won't explode in your mouth like the more flamboyant Chinese dishes, but amalgam of its components make for a hearty soup. The fish had a meatiness that made me initially think it was chicken, and the white fungus was gelatinous, and nearly instantaneously melted in my mouth, while the papaya added just the right hint of sweetness to balance out the flavors together. 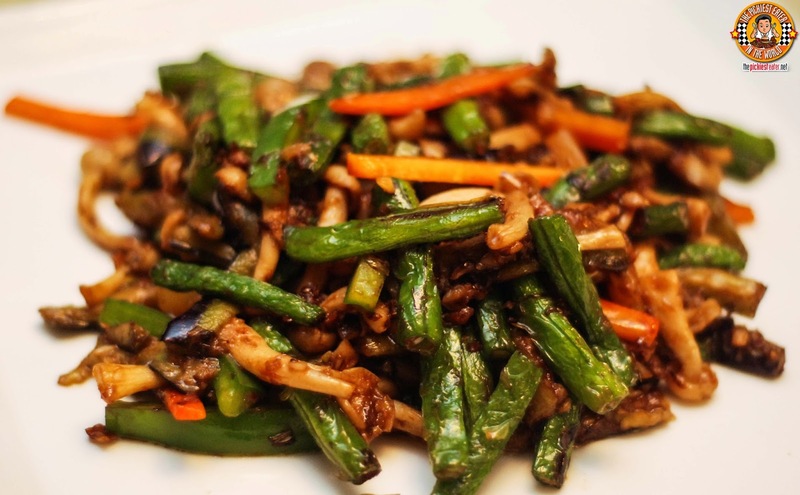 The first of the new dishes that Crystal Jade Dining In served kind of confused my senses. 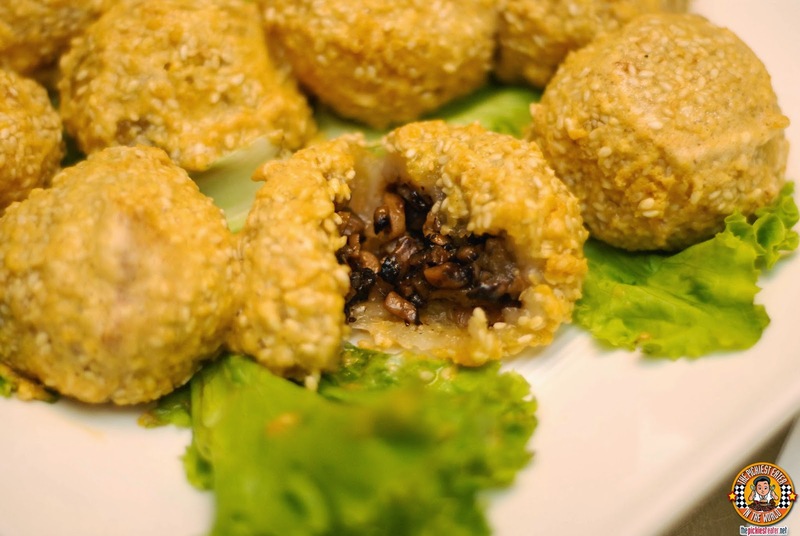 The Golden Sesame Balls Stuffed with Fresh Mushrooms reminded me of Buchi.. But with a more savory filling encased in its gelatinous shell. Great crunch on its exterior, which seemed to be dusted in a salted egg seasoning, while the mushrooms indeed had a nice freshness to it. 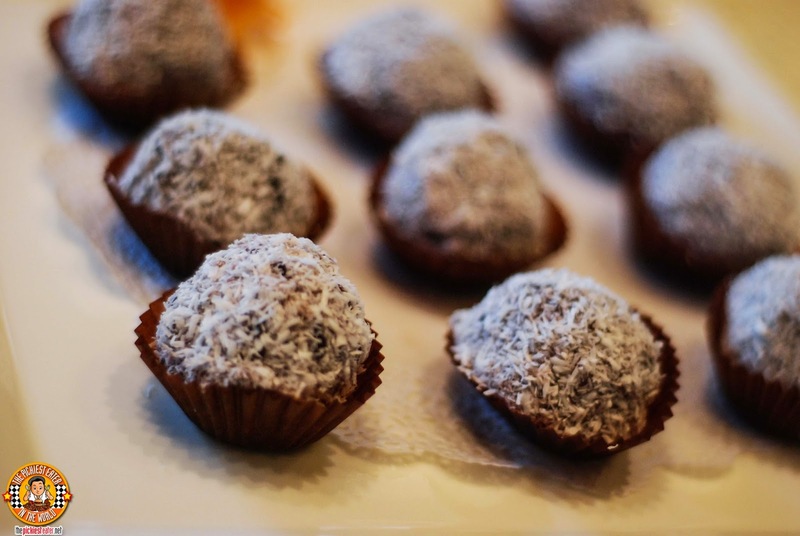 I still prefer my Buchi sweet, but mushroom lovers should most definitely explore this dish on their next visit. As big as her eyes are, I don't think Rina's eyes got any bigger than when the platter of Crispy Prawns with sliced Apple and Sweet & Sour Sauce was placed in front of her. 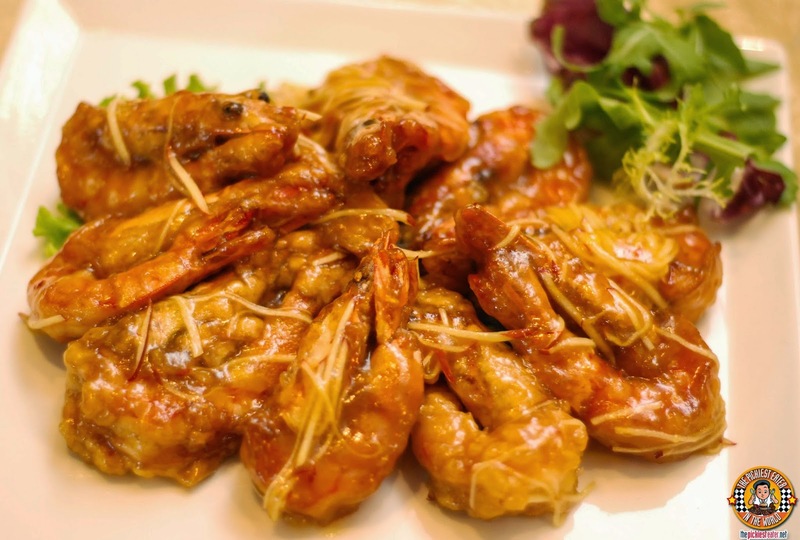 Another new item on Crystal Jade Dining In's menu, the pieces of fat, juicy prawns and coated in a luscious sweet and sour sauce, with the shredded apple helping the tartness from becoming too overwhelming with a nice hint of its innate sweetness. After getting a piece and putting it on her plate, she then proceeded to place one on my plate, causing me to protest. "Uhh, babe? I don't eat prawns." With a wink, Rina quiety and ever so slyly says to me, "I know. I'll get it from you later". The last time I was at Crystal Jade, I had my mind blown by their Sweet and Sour Garoupa Balls. This time, it was the Steamed Live Garoupa with Olive that did me in. 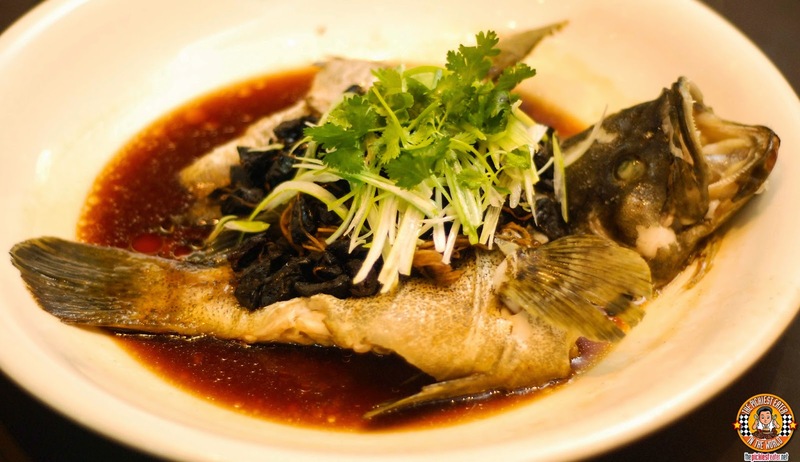 A whole Garoupa was steamed so delicately that its meat was cooked to an immaculate white. The fish was then bathed in a shallow pool of light sauce peppered with olives for added flavor. It was amazing. I was planning on skipping the Sauteed Vegetables with Preserved Vegetables, but Rina was adamant I at least try it. And I was pretty surprised that I didn't find it so bad at all. Instead of a mouthful of greens, I instead tasted a surpising savoriness that caught me off guard. For our last entree, we were served the "Second way" of the Peking Duck. We usually get Minced Duck Meat in Lettuce Cups as the "Second Way" for our Peking Duck (Which I usually end up eating with rice instead of the lettuce). 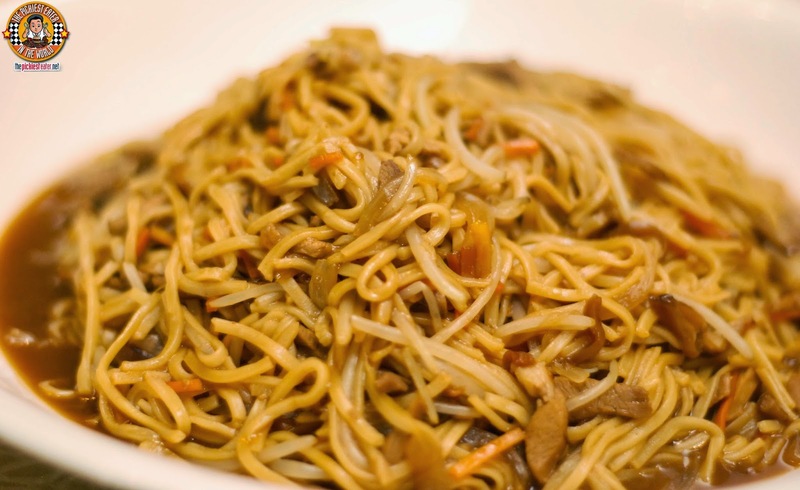 The Braised Noodles with Shredded Duck Meat and Mushrooms was a refreshing change. Soft noodles simmering in a light sauce with pieces shredded duck meat and mushrooms tossed in for good measure for a delicious sense of meatiness. To cap another fantastic meal at Crystal Jade Dining In, we were served some of Crystal Jade's dessert best sellers, such as the Japanese Glutinous Rice Dumpling with Mango Cream (P160 for 3pcs). It was nice bumping into Chef Angelo Comsti during the lunch! Chef Angelo has two books out in the market and is selling very well. Unfortunately, I forgot to bring the copy that I bought for my mom! What a wonderful way to kick off the year! Yet another memorable lunch at Crystal Jade Dining In, and with a Prospertity Toss, to boot! 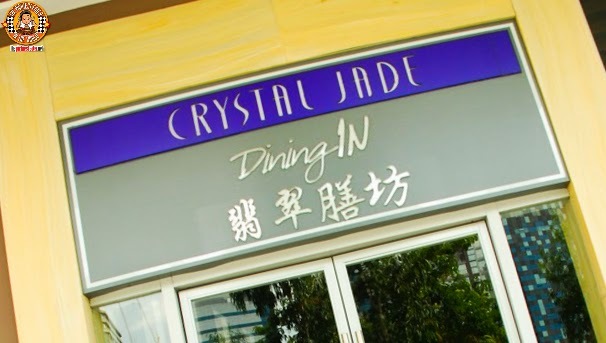 Apart from the Golden Sesame Balls Stuffed with Fresh Mushrooms, and Crispy Prawns with sliced Apple and Sweet & Sour Sauce, Crystal Jade Dining In has other new items from their "Chef's Recommendation" Menu that you all should be excited to try!